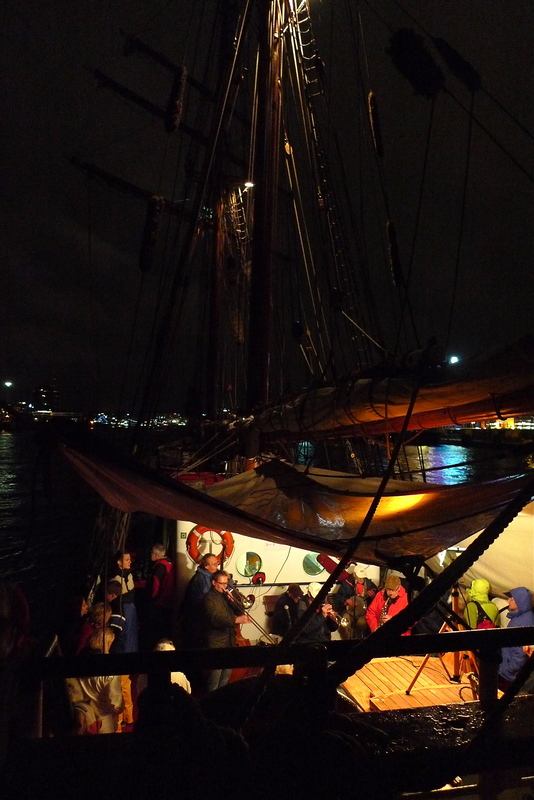 On our last Sunday in Germany, I had the pleasure of being invited by bf’s brother-in-law and sister to join them for a sail on the Segelshiff (Sailship) Thor Heyerdahl on the final night of Kieler Woche or Kiel Week. Lucky for us, bf’s brother-in-law is one of the licensed captains for this grand ship and he was a brilliant host. The Thor Heyerdahl was built in 1930 and it currently runs a fascinating year-round educational program and you can learn more about it and the ship here. 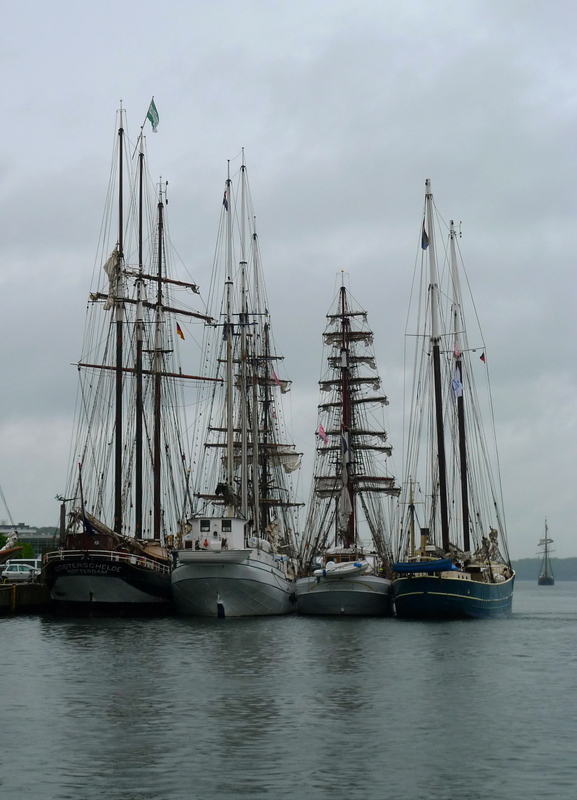 Kiel Week is the largest sailing event in the world. 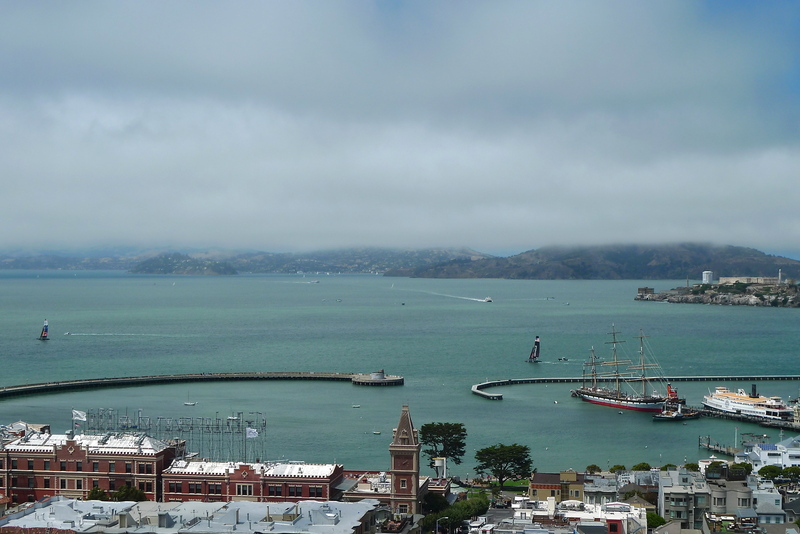 It attracts over 2,000 ships and more than three million visitors every year! 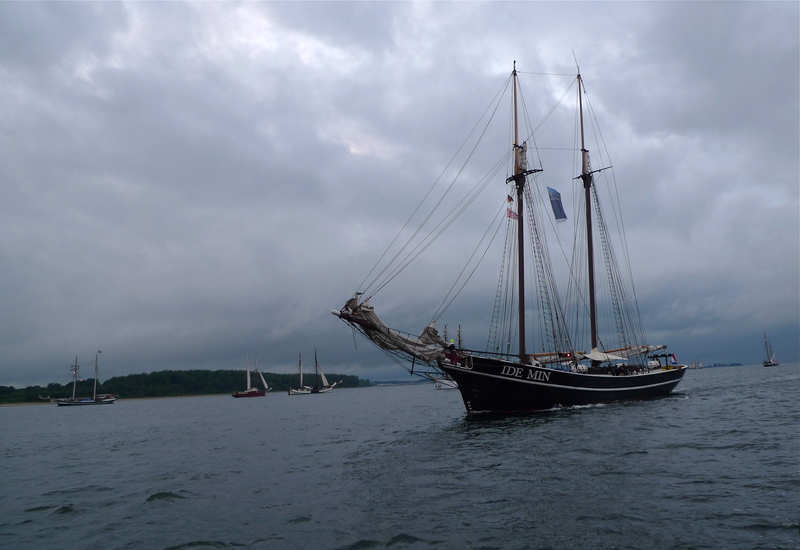 This event dates back to 1882 and offers hundreds of regattas, a historic ship parade and the city center of Kiel transforms into the largest summer festival stage in Northern Europe. We boarded around 8pm and were anchors away shortly after. Unfortunately, we did not partake in any of the earlier festival activities since I was feeling pretty sick. 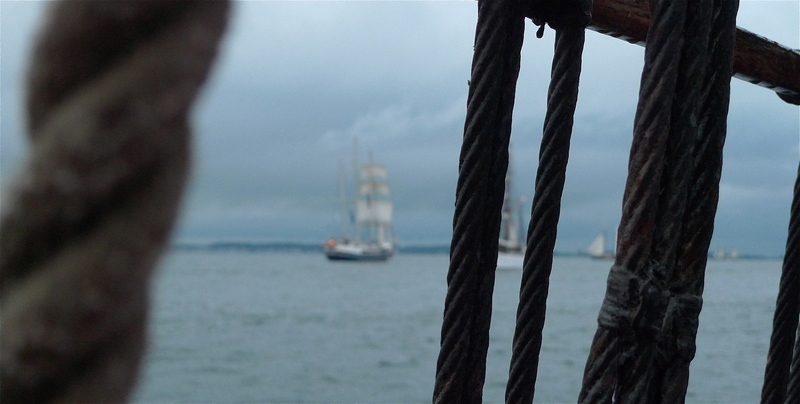 But I was not going to pass up the opportunity to sail on a tall ship on the final evening of Kiel Week – time to rally! The other pertinent detail is that is was raining and cold. Actually, more like pouring (at times) and freezing. Of course, the one element missing, that would have been welcome for sailing, was wind. The crew did a great job seeing to our comfort. They rigged a cover over the live band with enough room for all of us guests to huddle around. A very nice buffet of finger sandwiches and more was served with a delicious creamy (hot!) white asparagus/meatball soup that warmed everyone. The hot tea and coffee was, thankfully, never ending…and all of this was enjoyed while listening to a live dixieland band. Imagine, here I was, the only American on board this German vessel on Kiel Week listening to…dixieland jazz? It was totally neat. Photos were captured in the few moments when the camera wasn’t in jeopardy of getting wet and I had the fortitude to wrap my frozen units around said camera to shoot a possibly a still shot. But, on this night, wrapping my hands around a warm mug of tea took priority. We listened to good music, danced, ate, drank and overall had a fabulous time with bf’s sister, brother-in-law and sweet little niece. It was a memorable evening!